Put some stability in your car or SUV with Tokico Premium Performance, illumina adjustable and advanced handling systems. a wide variety of suspension motions and velocities. TOKICO performance shocks also use a special rod guide design and low friction piston to minimize mechanical drag. 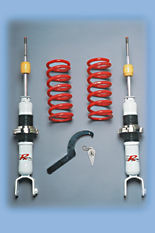 Combine all of this with great ride quality and you have a truly superior shock absorber value! 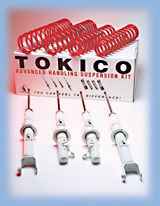 TOKICO springs with our shocks also ensures that your warranty stays intact.